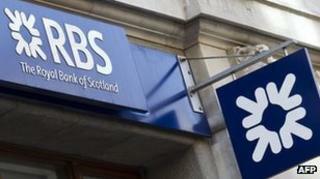 A defendant granted bail on Friday ended up spending the weekend in prison because of the computer problems suffered by RBS, it has emerged. The man was granted bail at Canterbury Crown Court, Kent, but was not freed until Monday because it was unclear whether his bail payment had been made. In a second case in London, a defendant was freed when the court made allowances for the problem. RBS says a software change was to blame for disrupting millions of accounts. The glitch resulted in money neither being transferred into or out of accounts. Last week's problem has been fixed but a huge backlog of transactions remains. RBS boss Stephen Hester told the BBC on Monday that the bank's systems were now working normally but it would take a few days for the backlog to be cleared. Mr Hester said: "It shouldn't have happened and we are very sorry. "There was a software change which didn't go right and although that itself was put right quickly, there then was a big backlog of things that had to be reprocessed in sequence, which is why on Thursday and Friday customers experienced difficulty which we are well on the way to fixing." HM Courts and Tribunals Service said: "Defendants are released on bail once confirmation of the receipt of bail is received. We are aware of only two cases where there was a banking issue. "We were advised of one case by barristers [on Monday]. It related to a case last Friday and court staff used their discretion to ensure that the defendant was released as soon as possible. "In the second case the judge made a judicial decision last Friday to release the defendant given the circumstances." RBS, which owns NatWest and Ulster Bank, has said it is extending opening hours for 1,200 main branches all week to help clear their backlog of work. Ulster Bank says its customers' problems may not be fixed until Friday. And some customers are still telling the BBC that their banking problems are continuing. From Tuesday to Friday, 1,200 main NatWest and RBS town and city branches will extend opening hours to between 08:00 BST and 18:00 BST to assist customers. Media captionStephen Hester: "There was a software change that didn't go right." "We will automatically waive any overdraft fees or charges on current accounts," said Susan Allen, director of customer services at RBS. The bank says its own customers who have suffered financial losses should take their case to a local branch where managers will arrange to pay them back. Claims are being judged case by case.